You probably looked in the mirror this morning. If you liked what you saw, you did nothing. But if you saw some things that did not belong on your face, or were out of place, you had a decision to make. Leave things as they were, or change things for the better. 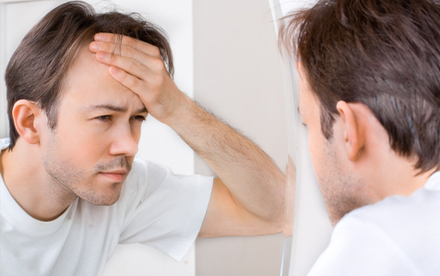 Now, once you decided you needed to clean up your face and improve your appearance, did you rely on the mirror to do so for you? No! You knew it could only reveal your problems, but it could not solve them for you. It could not remove the dirt, fix your hair, or cover the unsightly spots on your face. To solve the problems you saw, you turned to soap and water, a comb, and some make-up! But the law cannot clean you up, change you, or clothe you spiritually in the garments of righteousness. Once it has shown you that you are not clean and you need changing, its purpose is fulfilled. It can do no more. Its time to turn to Jesus. “Christ is the end of the law for righteousness,” Paul writes. (Rom. 10:4) The law’s entire purpose is to show you what a mess you are without Christ, so that you may see your need for Him. And once you see your condition, the law’s purpose is fulfilled and its role comes to an end. Now, if you decide you do not like what you see and want to be clean spiritually, you have to turn to the only One who can make you holy and righteous in the sight of God–Jesus. You see, only Jesus’ death for you can cleanse you from the pollution of sin, and only His Life in you can deliver you from the power of sin. And the only way to be holy and righteous is for you to put all your confidence in Him and no confidence in your flesh. Child of God, don’t look to yourself for holiness. Don’t try to clean up yourself by applying the law to your life. Now that you know your own righteousness is as filthy rags, turn to Jesus completely. Instead of trying to establish your own righteousness and holiness by self-effort, trust Jesus to manifest Himself in you and through you daily. Just keep drawing near to Him by faith in His blood daily and keep fellowshipping with Him in the Word and you will see that you will start to bear His fruit, the fruit of holiness, effortlessly. It’s not the flesh, it’s not the law; it’s only by faith in Jesus alone that anyone will ever become righteous and holy in God’s sight. Yet another inspirational word from you, Bishop. I am blessed.